Takes you to difference national parks in the northern circuit of Tanzania before flying to Zanzibar for your beach holiday extension. Pick up from your hotel in Arusha and proceed to Manyara National park to arrive in time for lunch. After luch depart for an afternoon game drive in the park. On this day, after breakfast, check out and drive to Ngorongoro Crater. Arrive at your lodge in time for lunch. The afternoon will be spent enjoying the view from the lodge at crater rim. This day you will spend a full day exploring the world’s largest intact caldera. Descend 600 meters into the crater by 4 wheel drive vehicles where you will begin exploring the crater, the woodlands, lakes and wide-open plains of the Crater floor. Here you will be captivated by the rich and diverse wildlife. Within hours you will spot the abundant resident wildlife found in the crater. Picnic lunch will be served at the site. Return to the lodge in the late afternoon. Rest and relax at the lodge. After breakfast at the lodge, depart for Serengeti National Park with an en route game viewing to arrive in time for lunch. Serengeti National Park is an enormous rolling plain whose sparse vegetation allows for some of the best wildlife viewing in the world. The annual migration of wildebeest and zebra is one of the park’s great attractions, though throughout the year the Serengeti is excellent for seeing predators such as leopard, lion and cheetah, along with elephant, hyena, giraffe, hippo, rhino, and many varieties of antelopes and birds. Serengeti National Park is best known for its abundance of animals and the great wildebeest migration. It has the highest concentration of large mammals on this planet. Over 500 bird species have been identified. On this day, after breakfast, have game viewing at the park as you proceed towards the one of the most luxury camp in western corridor of the Serengeti Plain where you will enjoy your stay. After an early morning game drive at Serengeti National park, return to the camp for breakfast, and then proceed to Grumeti Airstrip for your flight to Arusha. On arrival take your connecting flight to Dar es slaam / Selous. (On Arrival in Dar es Salaam you connect the flight Selous Game Reserve. On Arrival in Selous, you will be met by the Camp Vehicle and transfer to your Camp. The two days will be spent at Selous Game Reserve exploring while staying at the Tented Lodge overlooking the gorge of Rufiji River Camp. You will use a 4 wheel drive vehicle, boat ride and on foot to explore the reserve. 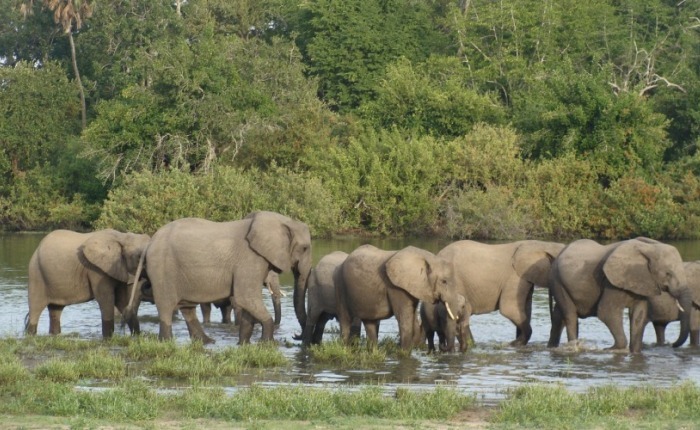 Selous Game Reserve is famous for its elephants. It was originally set aside as a hunting area where animals are abundant but shyer than the Northern Parks. The foot safari will give you a particularly intimate feel for the African wilds. Excursions by Landrover will allow you to have good photographic opportunities and the chance to explore different sections of vast park. Explore Rufiji River by boat where you will encounter hippos and crocodiles. Some 350 bird species have been recorded in the Selous Game Reserve. On this day, enjoy an early morning game drive, before being transferred to the airstrip for your flight to Zanzibar. On Arrival, you will be transferred to your hotel. The afternoon is spent at leisure. Enjoy the afternoon at the pool side and have a good breeze of Indian Ocean. On this day, in the morning hours, enjoy the tour of stone Town, walk through the narrow street and experience the Arab Culture of in Zanzibar. You will walk through the buildings where it all happened, such as former Slave Market and Anglican Cathedral, the House of Wonders and the Sultans Palace Museum, the Old Arab fort and Dispensary. Explore the Markets, sea food and fish piled in the fish market, fresh loaves of bread in wicker baskets and the neat stacks of fruit and vegetables as traders sell their wares from their stalls. Even Enjoy the Breeze from the Indian Ocean while seating at the pool side. 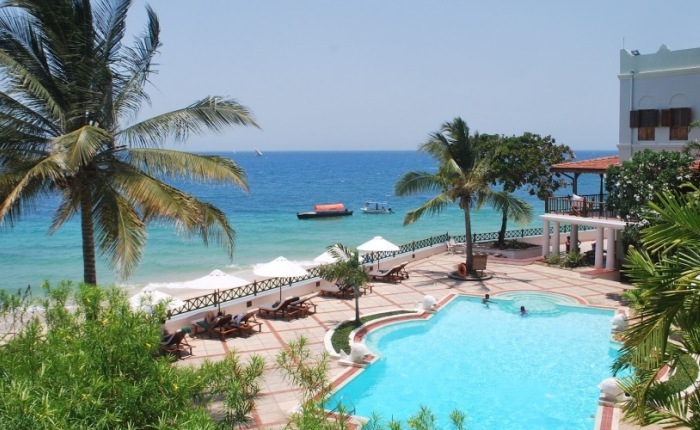 After breakfast, Check out and transfer to the airport for your flight to Dar-Es-Salaam. • Accommodation and meals as stipulated in the Itinerary. • An open vehicle during safari in Selous with camp vehicle .